Trampolines are one of our big-ticket Christmas gift items every year. This is a trend that never goes away. If you are hoping to surprise your family with a new trampoline this holiday season, then safety really needs to be one of your biggest priorities. A lot of injuries happen every year from kids and adults who are reckless on their new Christmas gift. The following is a list of some safety tips that can help you avoid a trip to the ER this holiday season. Limit how many people are on the trampoline: One of the main dangers that comes from using trampolines is having too many bodies on the trampoline. With all of these bodies bouncing around in largely uncontrolled directions, there is a high potential for collision and injury. Keep shoes off: Making it a rule to keep shoes off the trampoline when it is in use will help you protect the people on the trampoline as well as the trampoline itself. Any collisions will be softer, and your trampoline will have less potential of ripping or getting weaker through use. Invest in a safety net: There are some wonderful nets that you can purchase to place around the trampoline. This will help to keep children from falling off of the trampoline when they bounce in the wrong direction. Flying off the trampoline has caused many broken legs and deep bruises. All of this can be avoided by purchasing something that will keep the happy bouncers on the trampoline where they belong. Be mindful of small children: Small children have the greatest risk of getting hurt as their bones are weaker. The most dangerous times for small children will be when they try to bounce with older kids and adults. Keep a close eye on them in these situations, and get them off the trampoline if you feel the other bouncers are not being cognizant enough of the danger to these smaller bodies. Maintain the springs: There is a lot of damage that can happen to the springs of the trampoline with wear and tear, moisture, a lot of weight, and other such things. 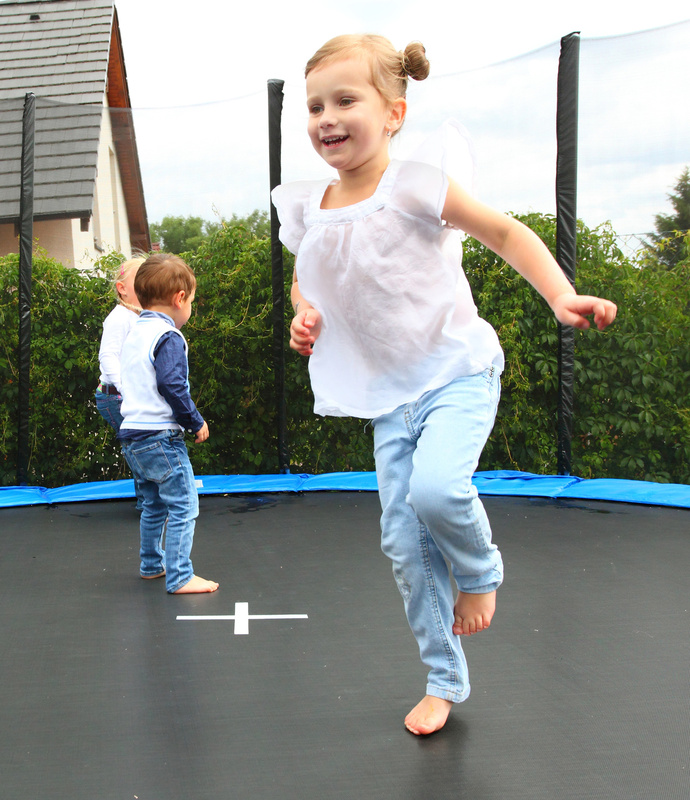 You can do a lot to ensure the safety of those who bounce on the trampoline by making sure the springs are always in the proper place and in good condition. 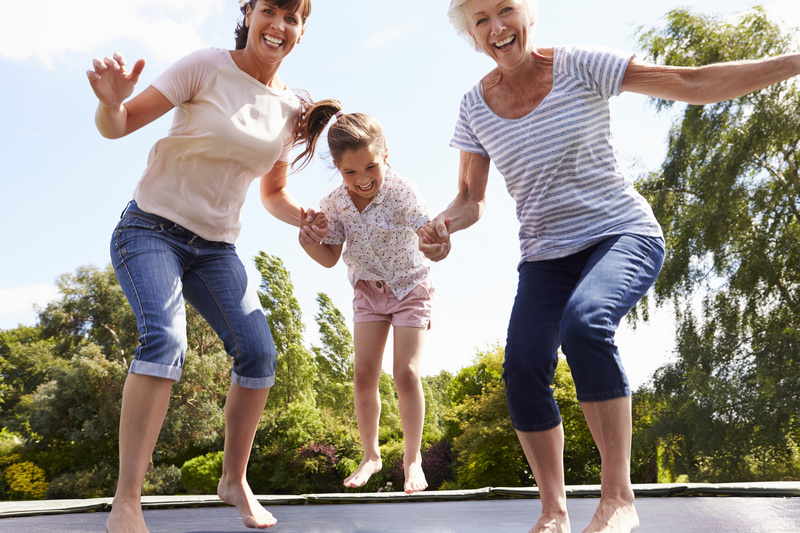 Don’t let anyone go under the trampoline: It is never safe for any adults, children, or pets to go under the trampoline while people are bouncing on top. This should be one of the first rules that you instate with your new trampoline.